Tesla Motors has filed a lawsuit against a former employee who allegedly would have stolen the source code of Autopilot, Tesla’s semi-autonomous driving system, to give it to the Chinese company Xpeng, dedicated to the design and manufacture of electric vehicles, as reported by professionals in ethical hacking training in India and the International Institute of Cyber Security. Since last year it was known that this Chinese company, also called Xiaopeng Motors, was developing an electric vehicle inspired by Tesla models, some experts on the subject even dubbed the Xpeng’s vehicle as “Tesla Clone”. The founder of Xpeng’s startup project has admitted that the work done by Tesla professionals has always been an inspiration to him. Experts in ethical hacking training in India mention that the fact that Tesla’s patents are open source could further motivate the founder of Xpeng. However, this is a matter beyond the use of open source patents, as Xpeng’s engineers copied Autopilot’s user interface to implement it on one of their electric vehicles. 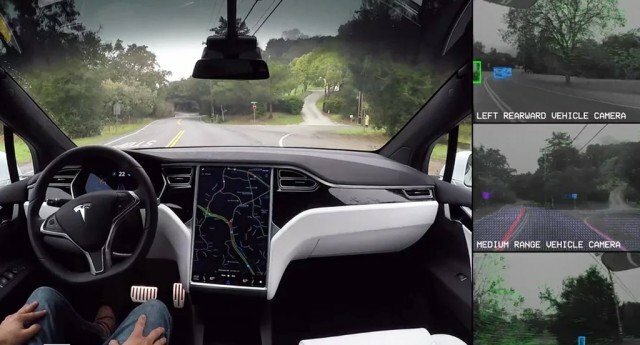 The controversy grew after Tesla claimed that Guangzhi Cao, a former employee of the Autopilot project, was the one who stole the Autopilot source code, as mentioned in the ethical hacking training in India. As the company mentions, Guangzhi Cao was one of the Tesla 40 employees who had access to the source code of Autopilot system; the company claims that the former employee stole the confidential material before joining Xpeng at the beginning of 2019. In the lawsuit, Tesla claims that Cao began to upload copies of Autopilot-related documents to his iCloud account. After accepting a job at Xpeng, the employee would have deleted about 120k files from his work computer, in addition to disconnecting his iCloud account and repeatedly entering Tesla’s network to remove traces of his malicious activities. “We believe that Cao and Xpeng will continue to exploit their unlimited access to Tesla-owned technology, which is the product of years of work and an investment of hundreds of millions of dollars,” says Tesla in the lawsuit. In addition to what is mentioned in the lawsuit, it should be noted that Xpeng also hired Tesla’s former machine learning leader to take charge of his autonomous driving division about a year ago.